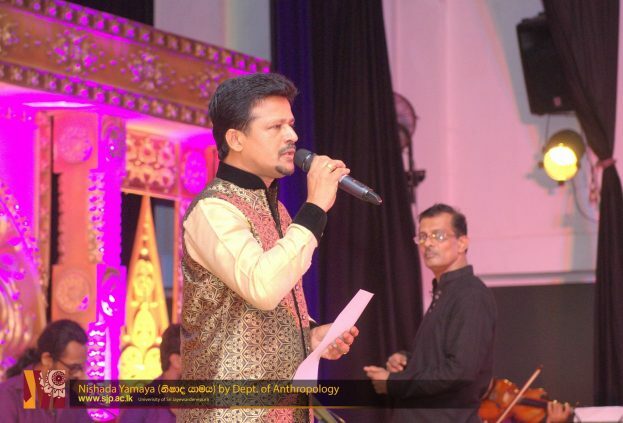 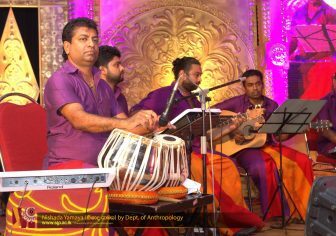 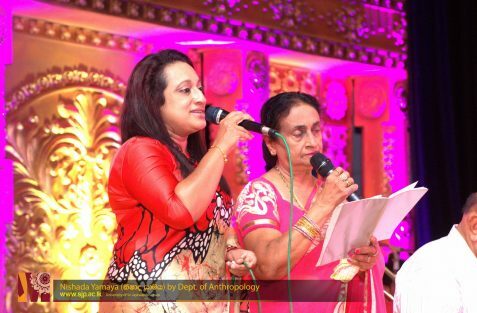 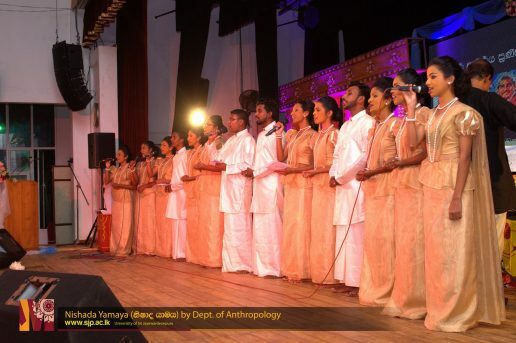 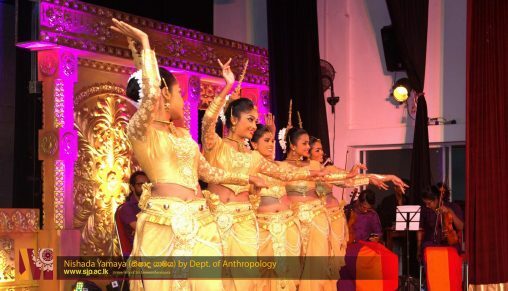 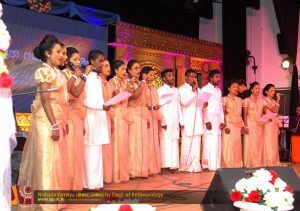 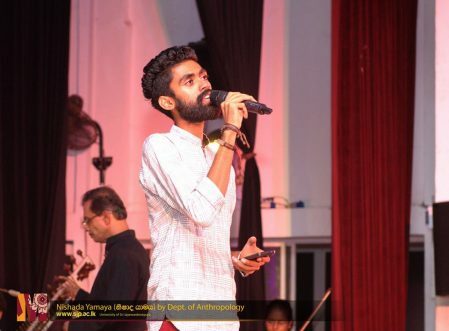 “Nishada Yamaya” organized by the Anthropology Crew of the Department of Anthropology of the Faculty of Humanities and Social Sciences, was an honoring evening offered on behalf of Dr. Praneeth Nishada Abeysundara, Senior Lecturer in the Department of Anthropology, and a prominent figure in the fields of literature, music composing, sociology of literature and anthropology of art etc. 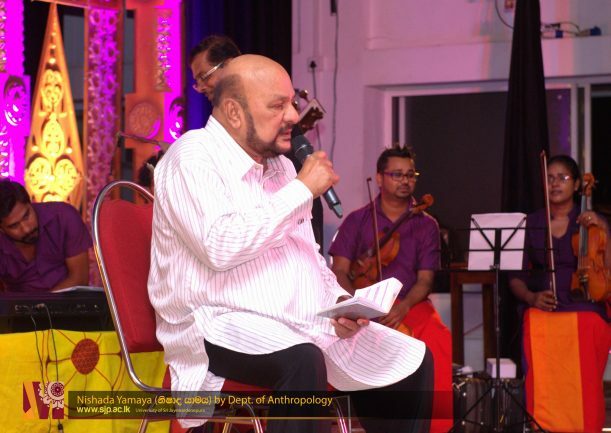 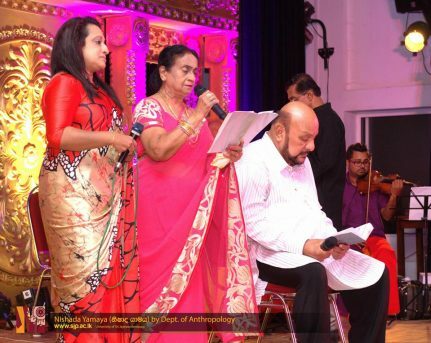 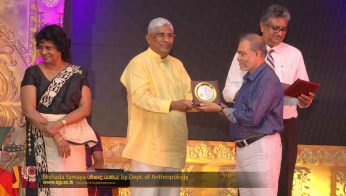 He is an owner of various awards and medals for his contribution towards the development of art and literature in the country. 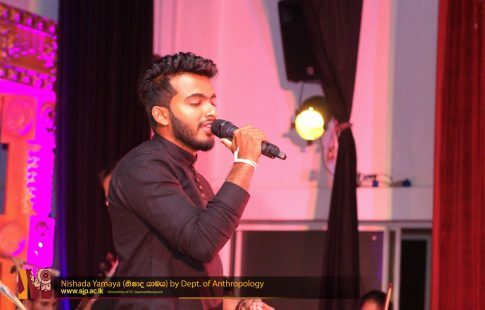 Recently he was awarded Kalashuri title at the National Honors Award Ceremony held in 2017. 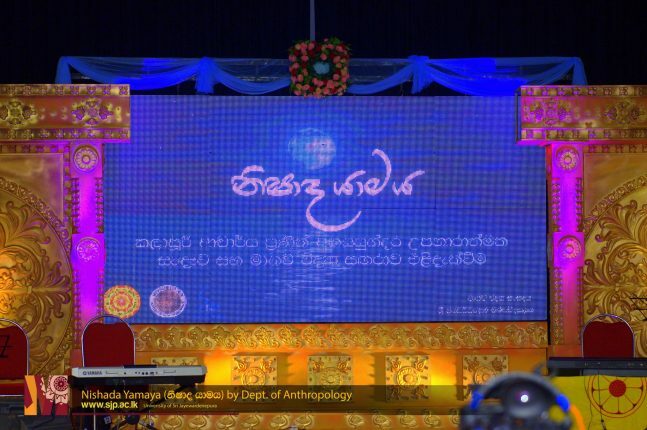 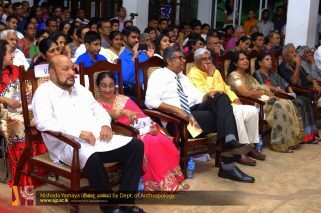 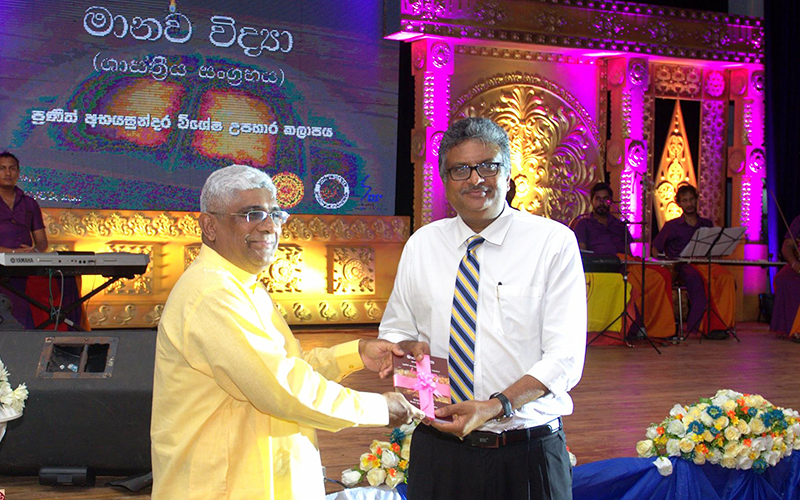 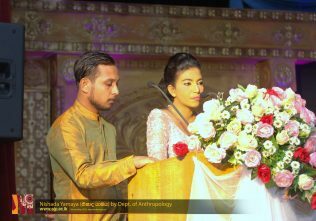 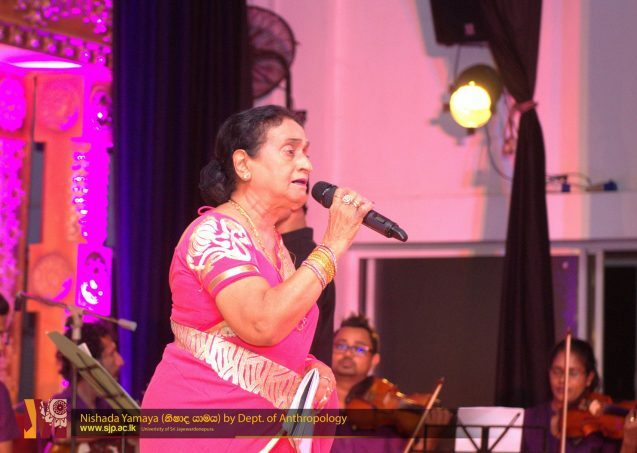 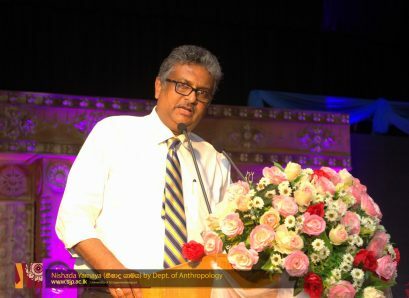 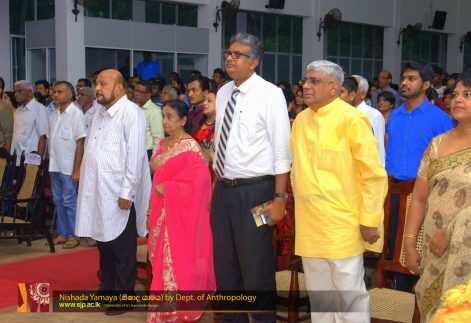 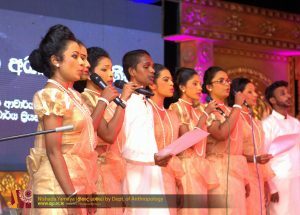 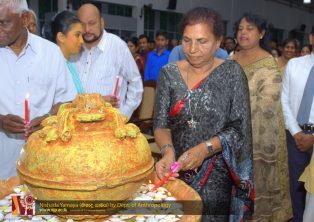 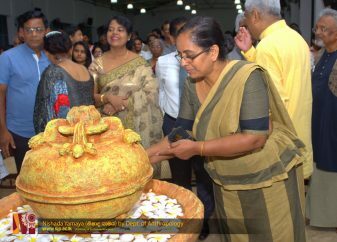 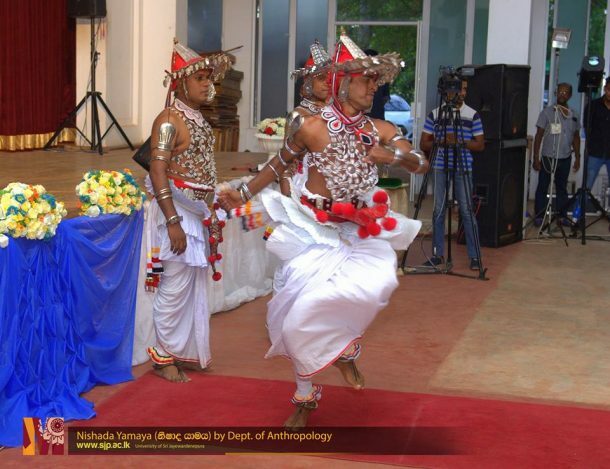 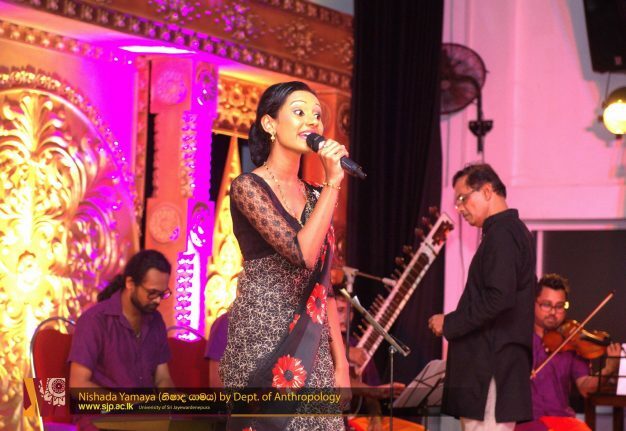 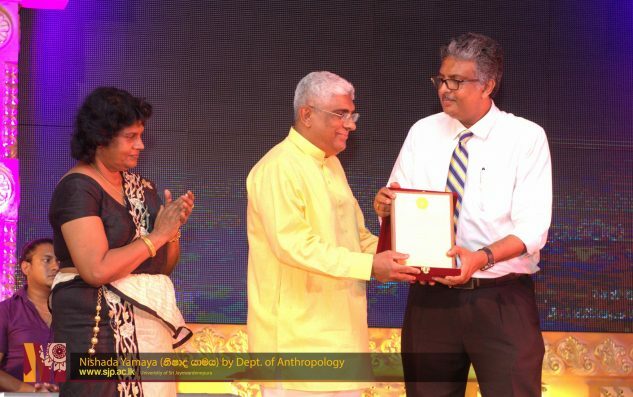 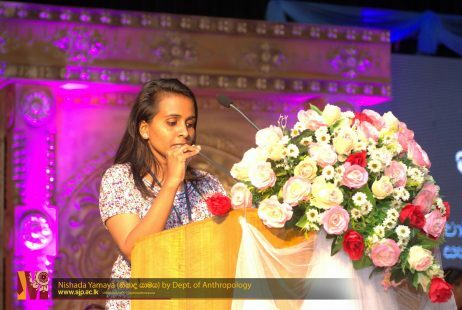 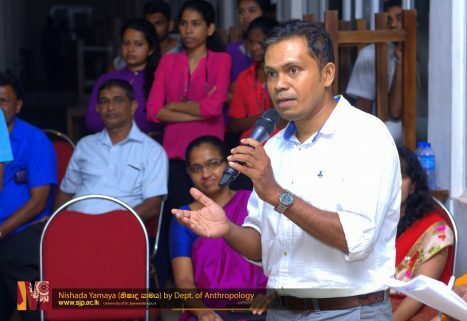 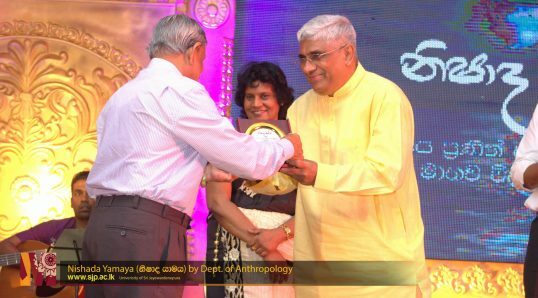 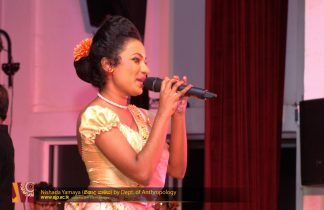 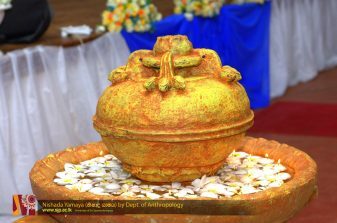 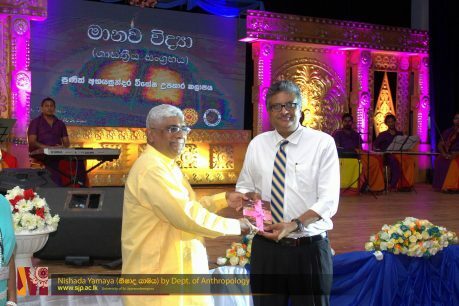 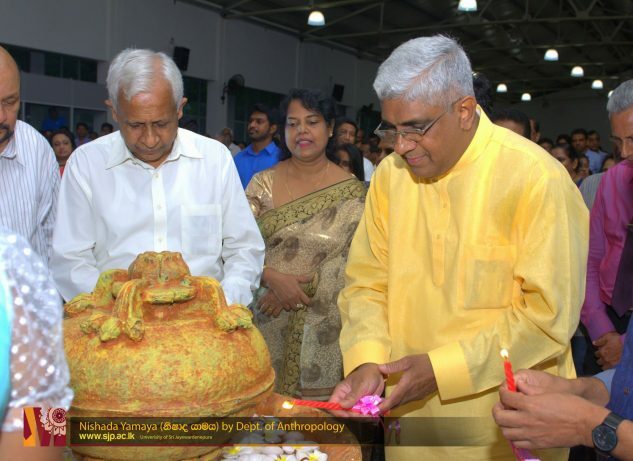 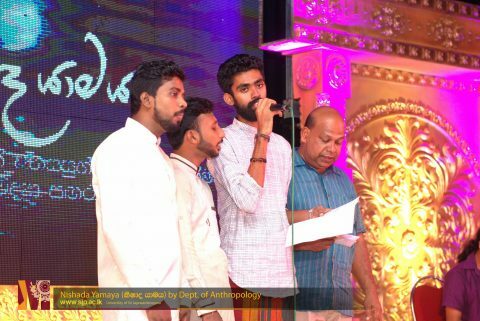 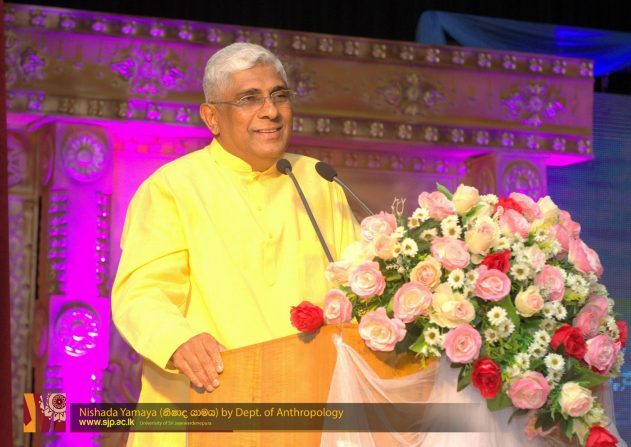 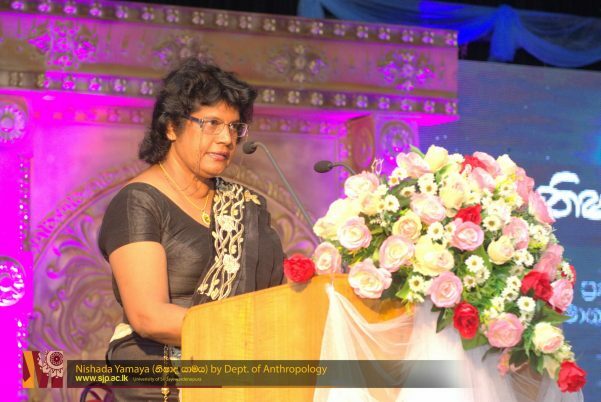 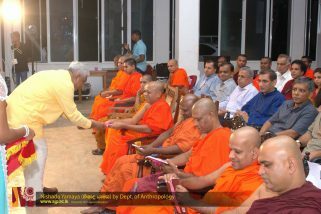 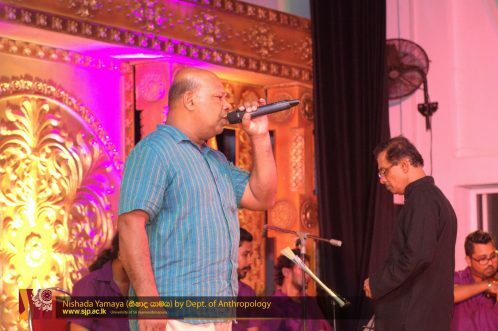 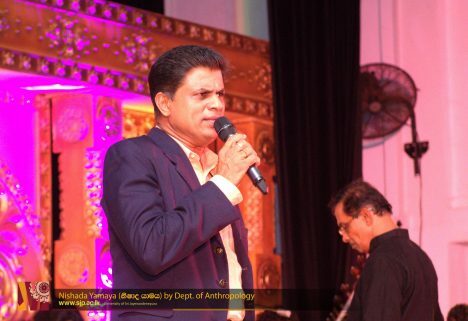 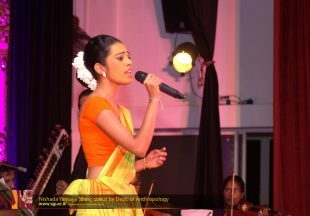 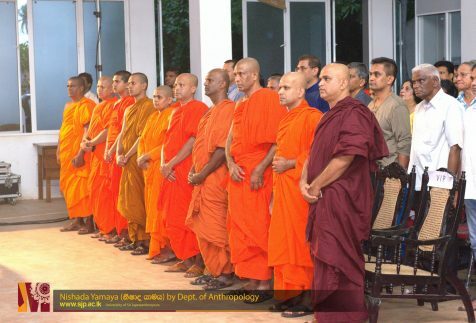 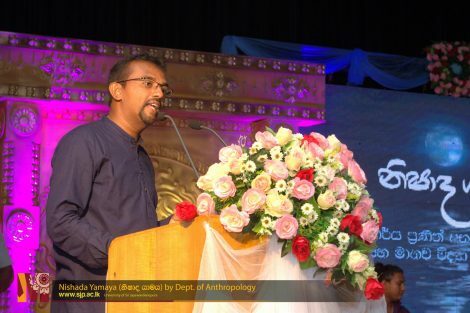 Nishada Yamaya was held on 18th July 2018 at the Bandaranayaka Hall of the University with the participation of a large number of prestigious guests including Prof. Sampath Amaratunge; Vice Chancellor, USJP, Prof. D. P. S. Chandrakumara, Dean-FHSS, Prof. Sudantha Liyanage Dean-FAS, Prof. Yasanjalee Jayathilake, Head of the Department of Anthropology, Prof. Sunil Ariyarathna; former Professor in the Department of Sinhala and Mass Communication, USJP, Prof. Sanath Nandasiri; Chancellor of the University of Visual and Performing Art and a Classical musician, Mrs. Malkanthi Nandasiri; singer, Prof. Samantha Herath, Prof. Samanchandra Ransinghe, Mrs. Neeta Rathnapala, Mr. Buddhadasa Galappaththi, Mr. Sunil R. Gamage, Mr. Kularathna Ariyawansha, Mr. Dharmarathna Perera, Ms. Anuradha Nandasiri, Mrs. Niranjala Sarojini, Mrs. Daya De Alwis, Mr. Leelarathna Kankanamge, Mr. Chandana Liyanarachchi and Dr. Pabilis Silva etc. 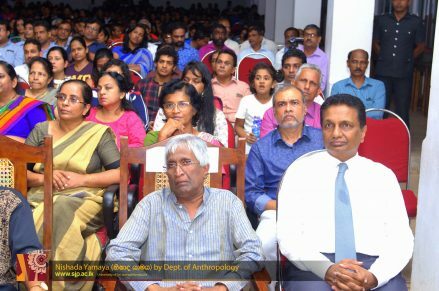 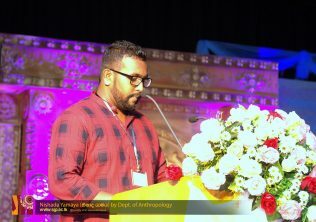 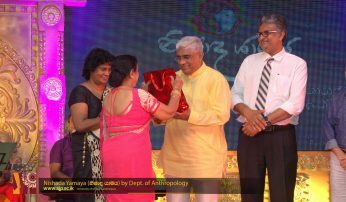 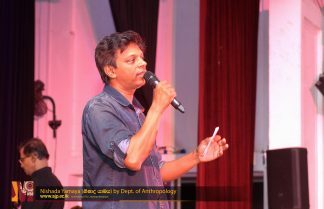 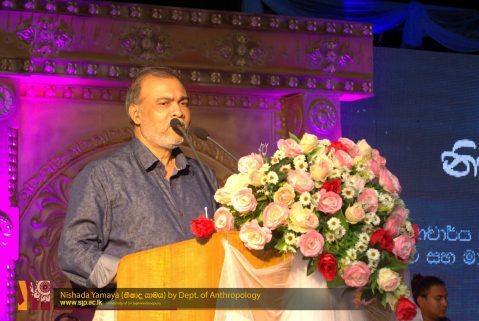 Department of the Anthropology also launched their novel magazine: Anthropology; Dr. Praneeth Abeysundara Felicitation Volume on the same day.